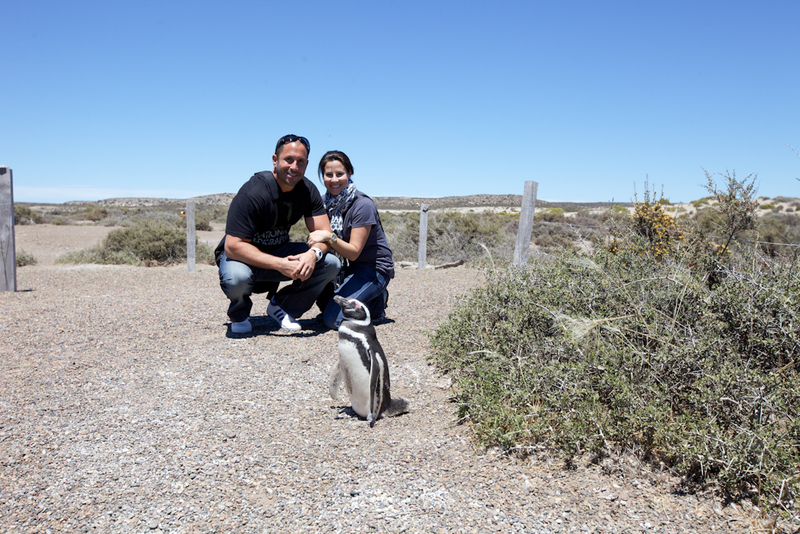 Our next port of call was Puerto Madryn, Argentina (Patagonia), where we spent the full day on a wildlife quest. 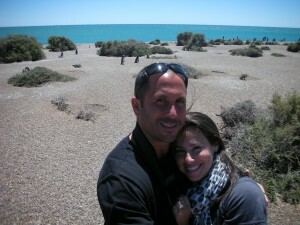 We took a 2 hour drive out to Peninsula Valdes, which is a UNESCO World Heritage Site. The first animals we saw were guanacos, which are a close cousin to the llama and alpaca that we saw in Peru. These guys seemed to remember that Jeremy ate the alpaca on that trip and therefore would not pay him much attention. 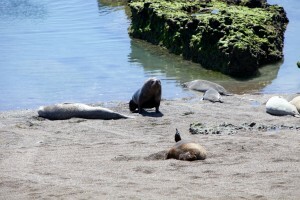 The first place we stopped was on the coast where we saw sea lions and elephant seals. 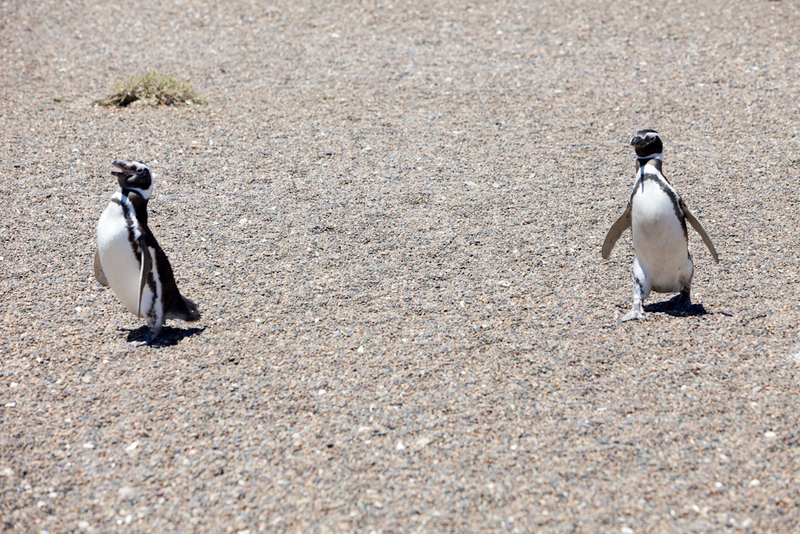 There were tons of them just hanging out on the beach together. The elephant seals were molting (shedding their skin) and basically while this process is going on they just lie there and do nothing. 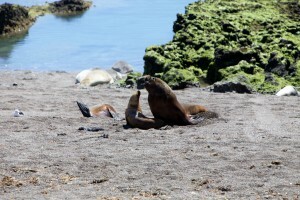 The sea lions were a little more interesting and playful and loud. 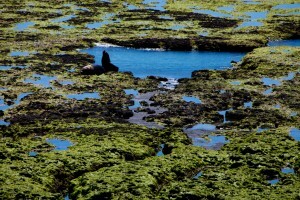 But not much…..We were hoping to see a Southern Right Whale which is abundant here, but we were about a month too late. They generally disappear by November. 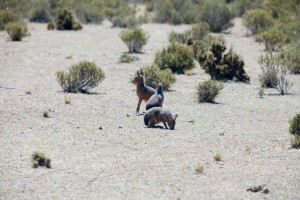 The next animal we saw was a Patagonian Hare. They were just hanging out near the area where we stopped to have a lunch of barbecued lamb (Jeremy’s favorite)! No rabbit on the menu….lucky for them. 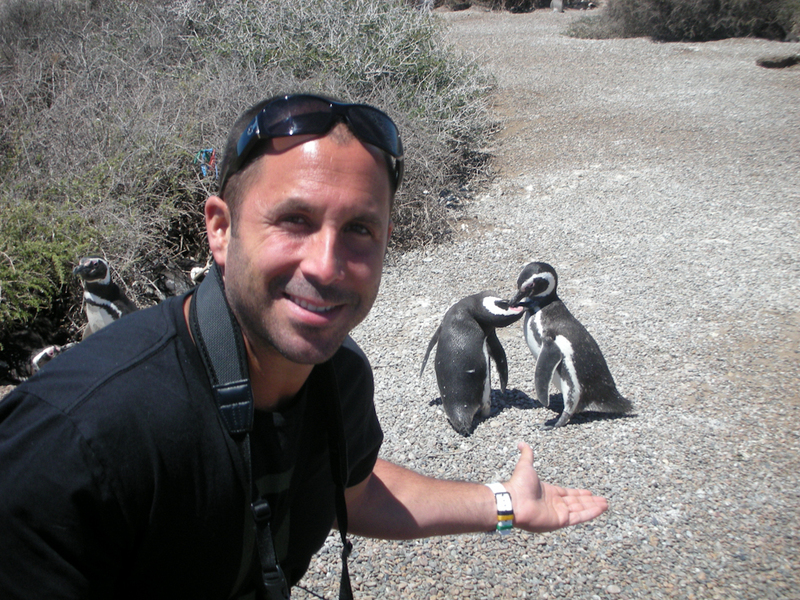 And finally the highlight of our tour….the penguins! 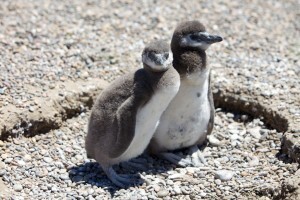 We went to a Magellan penguin rookery by four by four vehicle . 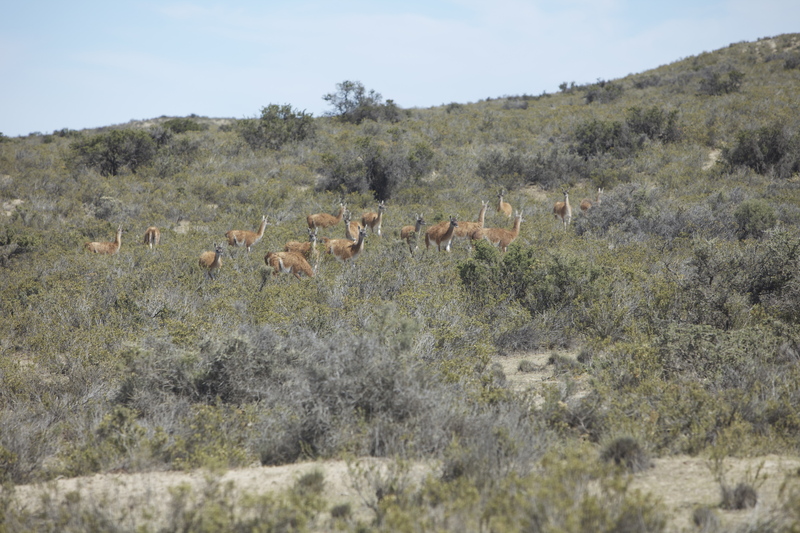 There were tons of them that were just wandering around. 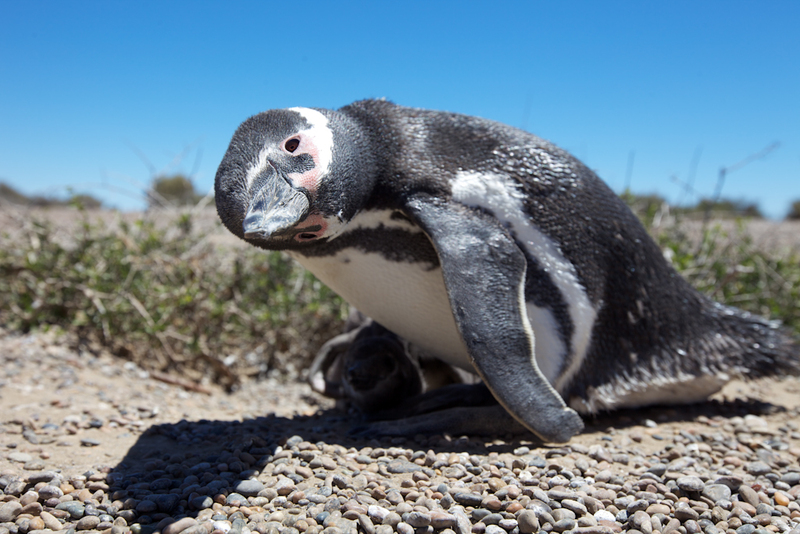 They are very curious animals and seemed very interested in Jeremy’s camera. They would come right up to you and nose around. 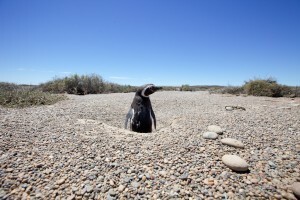 However if you get in their path when they are trying to cross they will let you know they are not happy! They burrow into the ground and build their nests. They just kept popping their little heads out! The smell is difficult to describe, but let’s just say it’s very unpleasant. Kind of smells like the fish tank area at your local Petsmart. This guy was really interested in finding out how the camera worked! 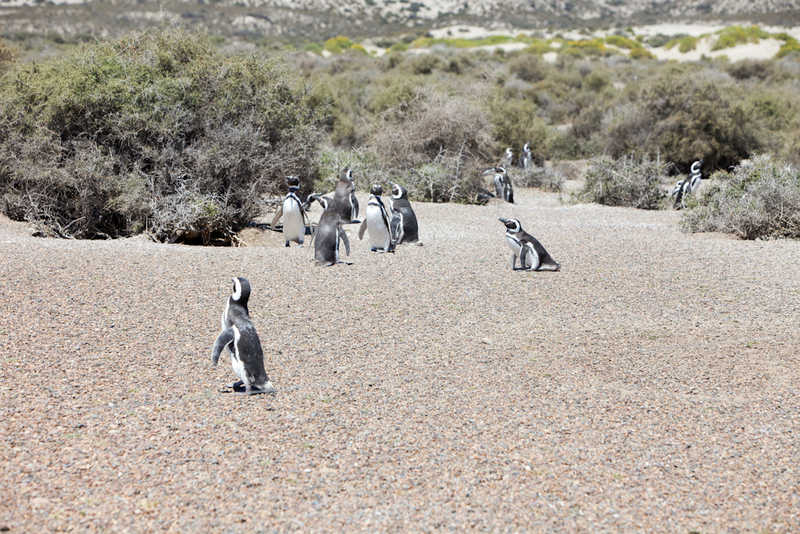 I think we were initially expecting the penguins to be on a snow capped glacier or something, but in this area it is basically like a desert. 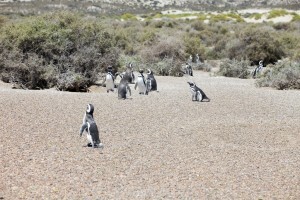 Very dry and arid….not what you would picture for penguins to be living in. 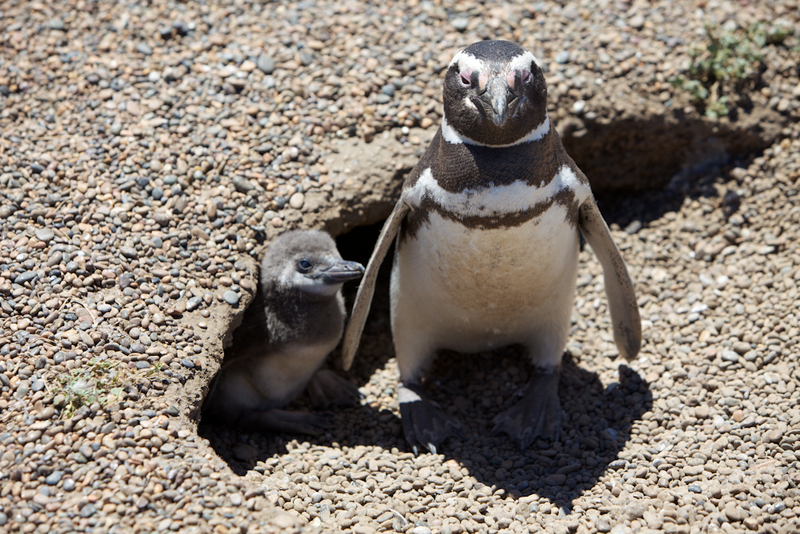 The Magellenic penguins are one of the smaller breeds…about 2 feet high. Here are some babies that were recently hatched. At this point their “feathers” are not waterproof yet. You can see the difference, they look furry. 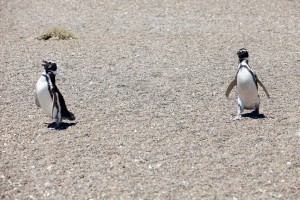 They were soooo cute! 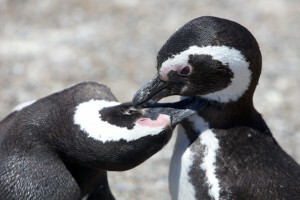 Jeremy caught these two in an intimate moment. Jeremy and his new best friends. 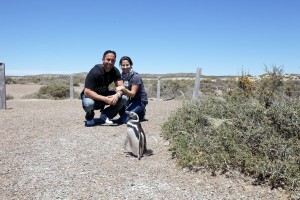 We had one of the more curious penguins take our picture for us….not bad! 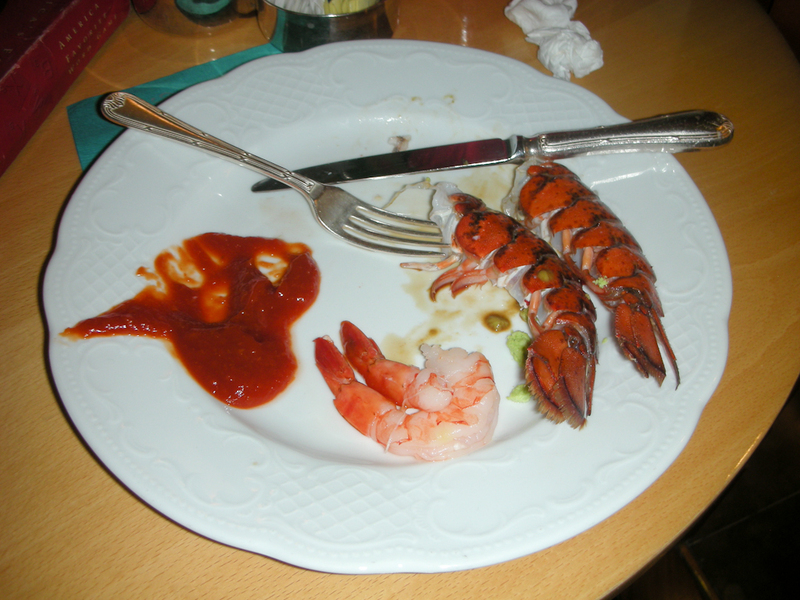 Not sure how this picture wound up here, but I am guessing it was Jeremy’s lunch back on the ship. That lovely smell must have gotten him in the mood for seafood. 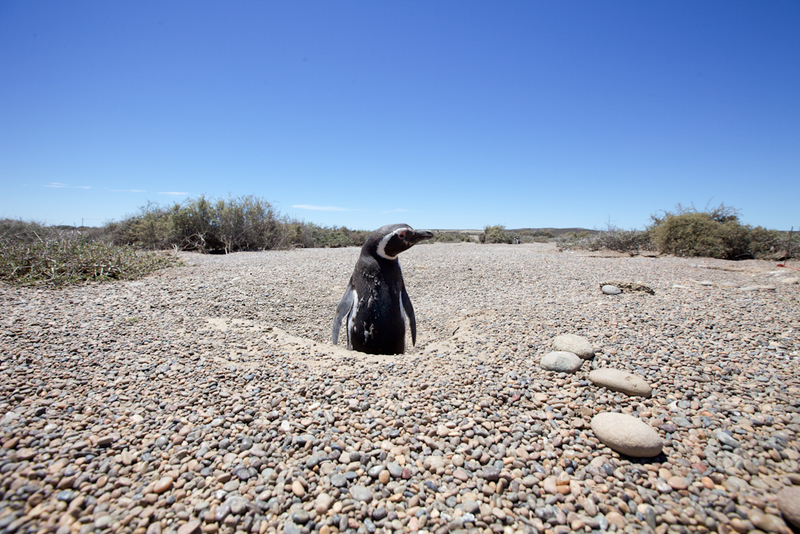 We are off to the Falklyn Islands …more posts soon. Lauren & Jeremy are just two humans trying to travel the world as much as possible. Learning about new cultures and trying new experiences is what they love to do. 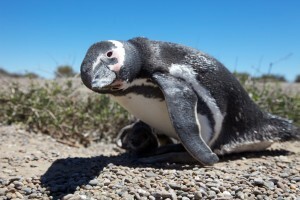 Penguins are so cute! You both look quite cute, also! What an interesting day you experienced with these different creatures. Which did you like the best?